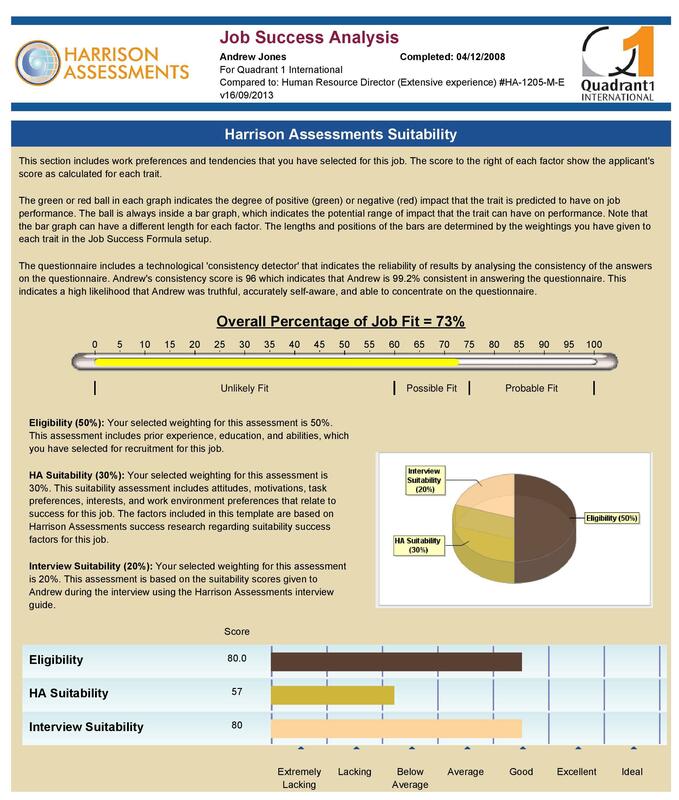 The Harrison Job Success Analysis (JSA) report shows clearly the traits that need developing in order to improve performance. There are over 6,000 standard Job Success Formulas (JSF’s) in the system, each one customisable to the actual job requirements in your organisation. The JSA report compares an individual to the traits created in the JSF for a specific role.